The sun rays are hot since the morning and blue water shimmers in the garden. There is hardly a better way of relaxation that having a bath in the comfort of your home. 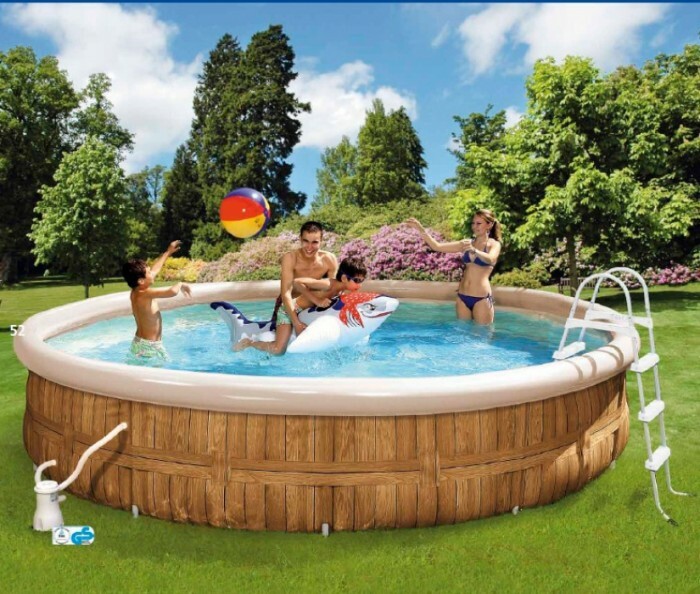 However, not everyone has enough space in the garden to have a swimming pool. So how about a hot tub (Jacuzzi) or a Scandinavian bath cask? The most common “water facilities” in the gardens are swimming pools undoubtedly, however hot tubs or spas are gaining in popularity, too. A little unconventional, but a very original innovation is the bathing wooden cask. The least expensive types of embedded pools include the prefabricated galvanized, plastic or fibreglass pools. They are produced in standard sizes and shapes. Their installation is quick and easy, their lives are however shorter. If you want to build a swimming pool entirely according to your plans, you probably choose a pool with the reinforced concrete foundation, line it with tiles and coat it with special finish or with a special foil. 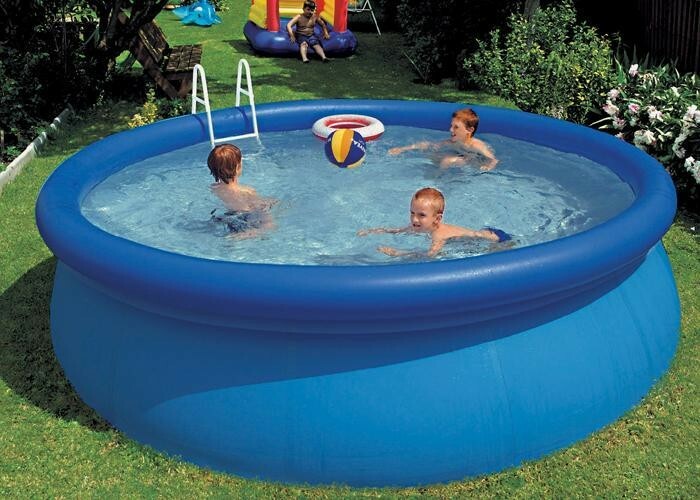 For families with children, a pool of size 6x3m is perfect. If you want to use the pool more for swimming, the length of 4.5m and with a counter flow will be sufficient. The depth should be 1.4m at least. You place the swimming placed on the south or southwest side, preferably near the house. Ideally, the pool should follow the terrace, so that you get the access from the comfort of your home directly into the water. To maintain the pool water clean, it is necessary to add the pool chemicals. If you want to go more ecological, the market offers an interesting solution: the salt water chlorination. The water is adjusted by means of special electrodes so that it is slightly salty. Although it is below the values ​​of sea water (3.55 percent), it can even with 0.5 percent have a positive influence on human health. It has an antiseptic effect, which is especially useful for people with skin problems. And the low salt concentration does not cause burning eyes. If you do not want to build a swimming pool, but still wish to indulge in an outdoor bath occasionally, a hot tub (Jacuzzi) or a spa massage will be perfect for you. 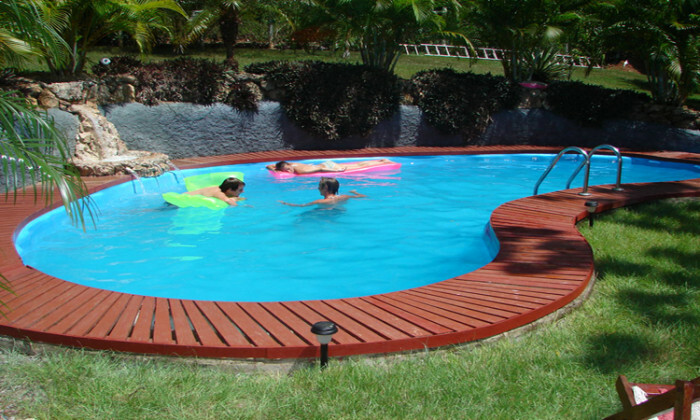 Unlike the pool, its installation is easy, inexpensive and you do not need a building permit. These objects are mostly placed in the vicinity of the house, but you can also choose a place anywhere in the garden. 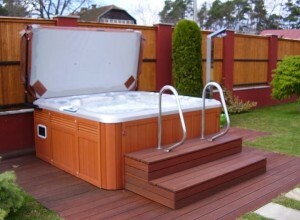 In addition to the ease of access, the views are important – they should be pleasant for the bather in all seasons. The advantage of the outdoor spa is the possibility of heating the water up to 39 °C, thus providing the opportunity to bath even in winter. It can be used for relaxation, hydrotherapy as well as aromatherapy (after adding of aromatic essences). The massage jets have a beneficial effect on tired muscles, relieving joint pain and rheumatism. These systems are mobile, so you can move them freely, they can even be placed in interior. In the case you want to have the pool at one specific location, it can also be embedded into the ground. Special thermo-covers are used to prevent the water from polluting and getting cold. The acrylic tubs are available in various shapes, the square or rectangular are the most often, but there are oval or triangular shapes also available. The smallest hot tubs are made for two people, but you can get one for six people, too. Various seats are moulded in the hot tubs inner portions. According to the current position of your body, the jets will massage the chosen part of your body. A swim spa is a practical combination of a pool and a spa. A user is deprived neither of the massage jets and hot water, nor of the possibility to swim, owing to the water counter flow. 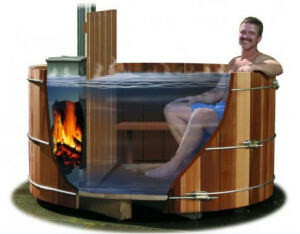 You can use it all year round and the water can be heated up to the comfortable 38 °C. Bathing in a wooden cask is very popular in the Scandinavian countries. It is a wooden cask, usually made of spruce wood. Water is heated by a wood stove, which is placed inside the cask. The newest models have the inner cask portion filled with stainless steel, which improves the hygiene and extends the life of the bath cask.